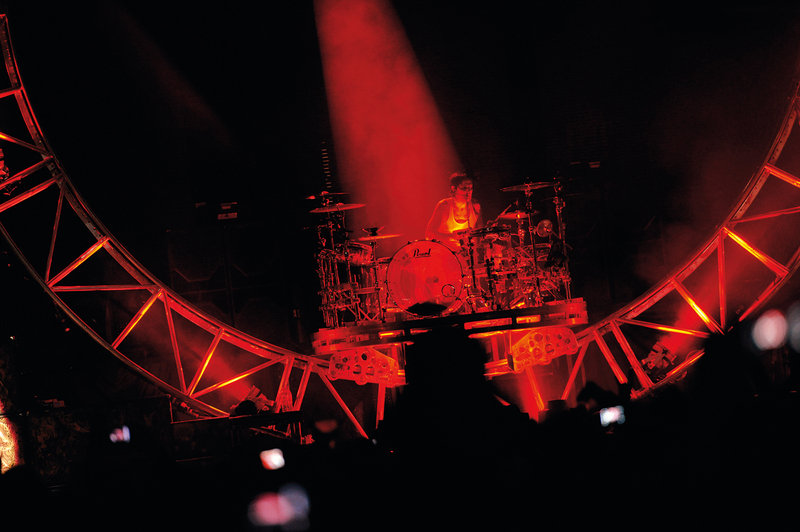 So in case you missed it, Mötley Crüe drummer Tommy Lee is presently feuding with rapper Travis Scott over accusations that Scott’s stage setup is a direct ripoff of Tommy’s 360 drum rollercoaster and The Cruecifly. Lee, 56, went after the 26-year-old rapper after footage of one of Scott’s shows surfaced on the internet. Firing off several tweets, it’s clear that Lee is out for blood – or in this case money, as he advised Scott (“This f—— idiot”) to “lawyer up”. However, there’s just one problem: he may not actually have much of a case against Travis. 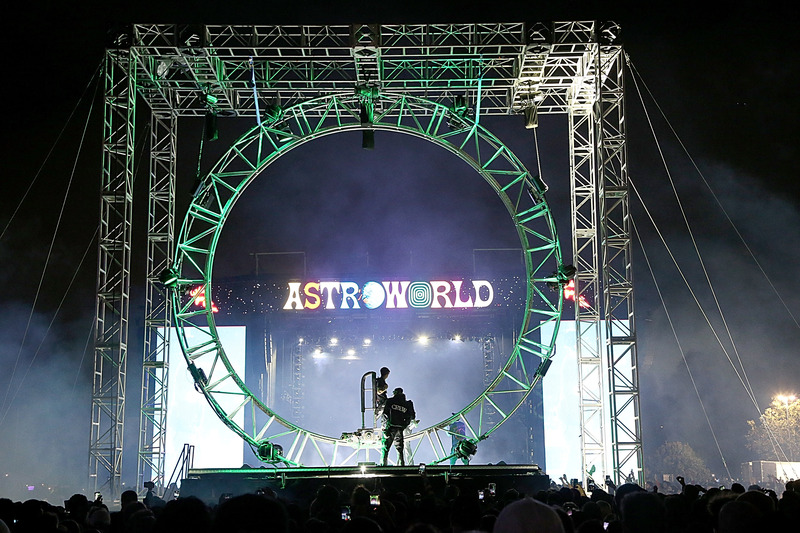 This afternoon, Scott’s attorney fired off a response to Lee’s accusations of theft, essentially saying that because Tommy 1) didn’t invent the general concept of an onstage rollercoaster and 2) the company that actually owns and created the design for the 360-degree loop stage design gave Travis permission to use it for his Astroworld tour, there’s no real legal basis for suing the rapper. Naturally, this didn’t sit well with Tommy Lee, who fired back shortly after Soriano’s statement was released. When a fan was quick to point out that all the company did was sell its product to another customer, saying “So technically, he’s not ripping you off. SGPS created something for you and him. A company can’t sell its product to multiple customers?” Lee lashed out again, calling him a jackass. “No JACKASS, we hired them to build MY design, that me and MY TEAM came up with. We paid for the design to be made by them. They did not create it, we did. I guess they had it left over in the shop from my tour, and rented it to him. It’s my exact 360 and Cruecifly,” signing off with “Gtfoh,” which means…well, I’m sure you can guess where he was going with it. 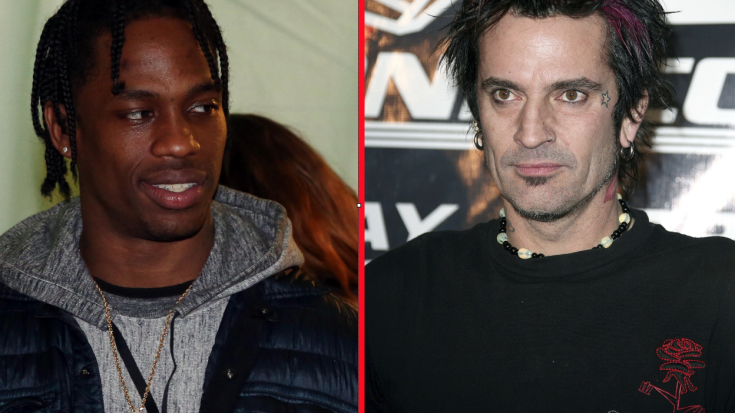 The dust has yet to settle on this situation, but so far it’s looking like it’s not Travis that Tommy needs to be upset with, but the company that actually gave him the rights to the rollercoaster. Only time will tell – stay tuned to Society of Rock for more updates as they become available; something tells us this is only going to get more interesting as the days go by!